Short answer - Eat 3 wholesome, balanced and nutritious meals in a day. This revelation occurred to me yesterday. My usual morning routine involves Yoga, cooking breakfast and lunch, packing lunch-box for my husband and then I sit down with my breakfast. Yesterday, this whole routine went for a toss when my husband had to leave very early for work. I ate a little bit of left-over lemon rice that I had packed for my daughter’s snack box. In the afternoon, I didn’t have the time to cook a proper lunch, so it was a little rice + potatoes. Around 3PM, I felt hungry and I grabbed a cup of coffee. Around 5ish, I was terribly hungry. I stepped into the kitchen, rummaging through the various shelves (which I wouldn’t normally do). I ate a couple of dates and a banana to satisfy the “health-conscious” in me ;-) But the hunger pangs didn’t reduce. So I took my daughter along to a nearby sweets shop and grabbed a cup of rasmalai ;-) I bought a pack of cashew pakodas too, which I would end up munching at 7PM before dinner. You see the pattern here? Though such days are rare, I have to admit that I’m too lazy to cook for myself. So I prepare what my daughter likes to eat and end up eating little of the same. Both my breakfast and lunch were nothing but simple carbs. “Take time to cook for yourself”. I have seen many women make similar mistakes. We feel cooking is not worth the time and effort if it’s just for ourselves. So we end up grabbing some snacks or a light meal and numerous amounts of tea/coffee. On days when I eat proper, wholesome meals, I don’t feel the urge to snack. If my lunch had a good mix of grains, lentils and vegetables, then I can go on with my day, without the need to open the snack counter/fridge every hour. My grandparents ate 2 proper meals (one around 11AM and another around 7PM) and I don’t remember seeing them snacking in between their meals, except for a small cup of filter coffee. Snacking mindlessly is the reason behind many of our health-related issues. While working on an intellectual problem - for e.g., replying to an important email, preparing a report, putting together a presentation, a mentally stimulating conversation with a colleague etc, we end up munching a few biscuits, a piece of chocolate and downing cups mugs of tea/coffee. 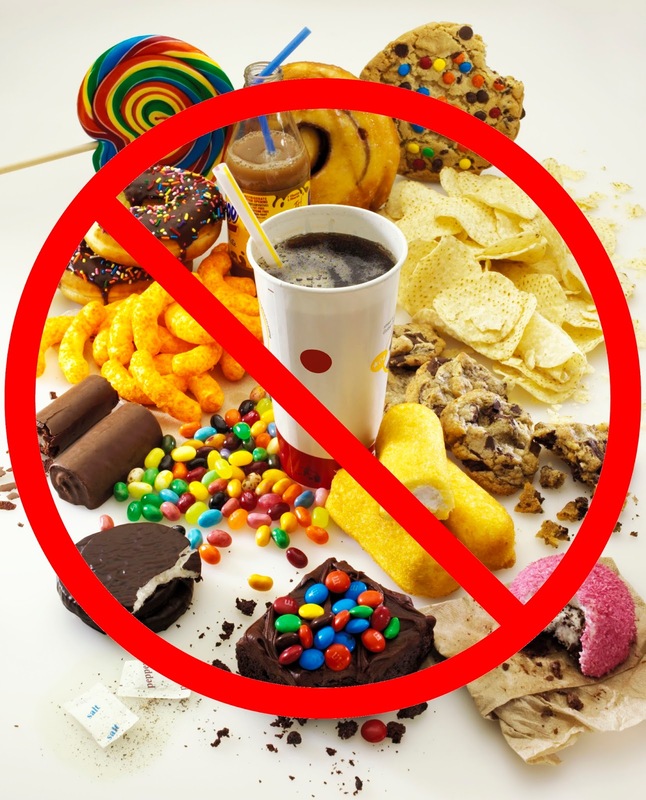 Over time, this piles up unknowingly, resulting in obesity and various other lifestyle diseases. Apart from mindless snacking, we also end up craving for certain foods IF our main meals aren’t nutritious. If you crave for something, it is an indication that your body is lacking in certain vitamins and minerals. For example, low magnesium levels in your body lead to chocolate cravings. Low calcium and magnesium levels lead to sugar and salt cravings. So the solution to cut down on junk foods is to make sure that your primary meals (breakfast, lunch and dinner) are wholesome and they provide with all the adequate nutrition you need, including micro-nutrients. - Make sure your meal plan includes a combination of whole grains, lentils, vegetables and fruits. - If you need to cook only for yourself, spend a few minutes the previous night thinking about what can be prepared with less effort but more nutrition - Salads are a better choice for preparing for just 1 portion size. Do share in the comments below how you plan your meals in advance.